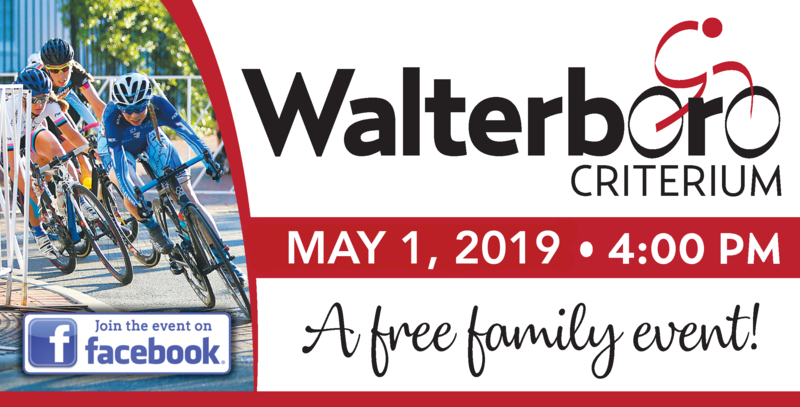 Don't miss the 17th Annual Walterboro Criterium on East Washington and Hampton Streets in Historic Downtown Walterboro. Come see professional and olympic level bicyclists as they race our city streets at speeds up to 35 miles per hour and compete for $10,000 in cash prizes. Ameteur races start at 4 pm. Kids race at 6 pm ages 3-10 (helmet required), with free registration starting at 5 pm at Waterfall Plaza. Free admission. The VIP Section will include local cuisine, beer and wine and and live music — Tickets are $25 at the door.